IP55 rating when not in use. BG IP55 Socket 2 Gang 13A is rated 4.1 out of 5 by 14. 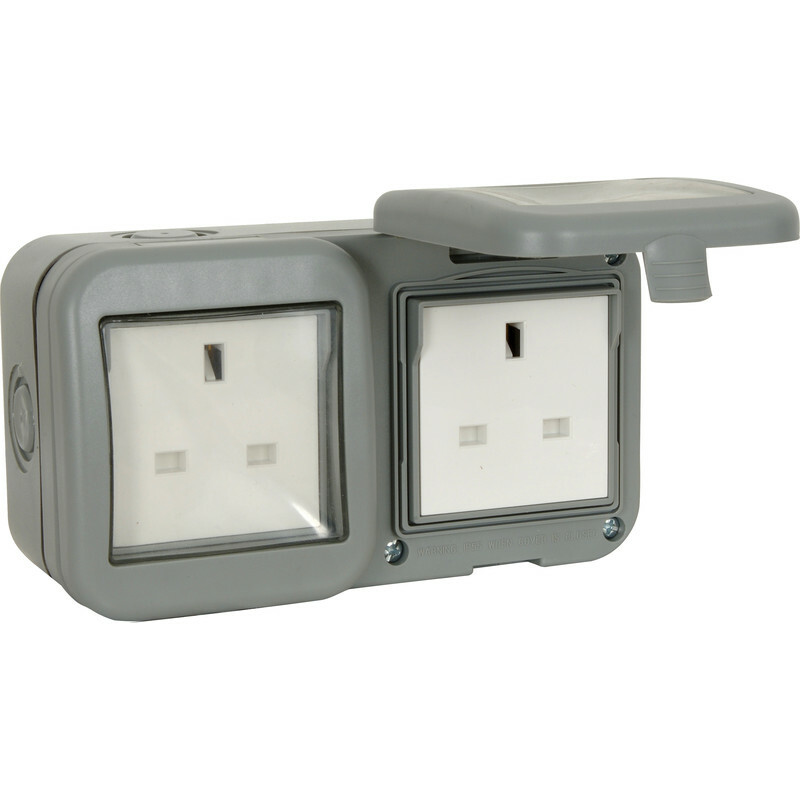 Rated 5 out of 5 by JeffV from Great outdoor double socket This outdoor double socket is ideal for connecting garden equipment and the like. Not intended for connecting anything permanently as, by design, it is only weatherproof when clipped closed. Nice design and great value. Rated 5 out of 5 by Dinoken from Power to the people ! Or the garden, to be precise. Sturdy, good looking, weatherproof outdoor sockets. Previous sockets broke due to pressure applied to remove plugs from corroded terminals, but these sockets look to be well insulated from the elements such that problem should not recur. Easy to wire up with spacious connections. Rated 4 out of 5 by PB 70 from easy to install and use. Great little neat plug this, easy to install and use. Rated 1 out of 5 by Anonymous from Not so good Bought this because it was cheaper, compared to retailers, but my sparky said it was not up to scratch, so he went and brought a dearer version but glad he did , because it was more substantial. Rated 3 out of 5 by JF123 from 13A outdoor socket Product good for the price , i used it to supply outdoor party lights. Rated 5 out of 5 by socket to me from plug and play I'm so happy I bought this! Now when I need power, I just plug into this baby and just like that, I have power!! !